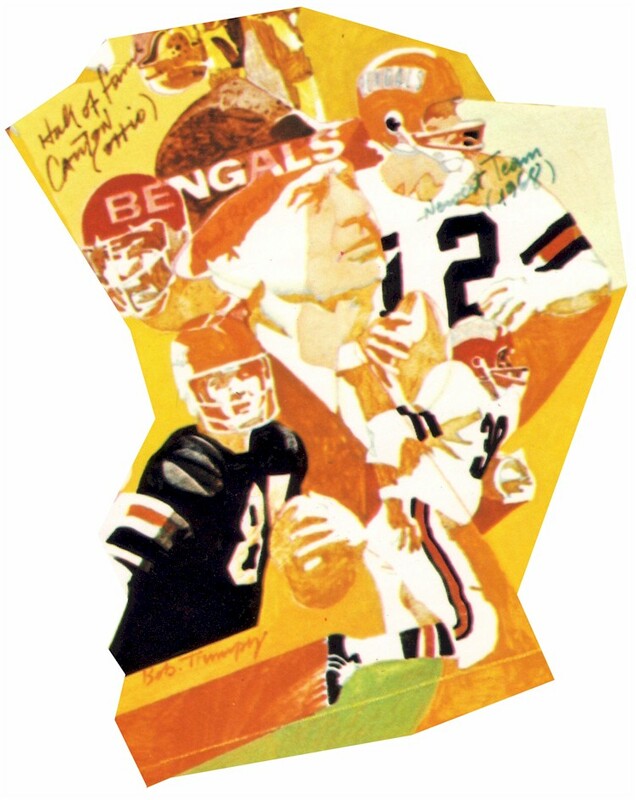 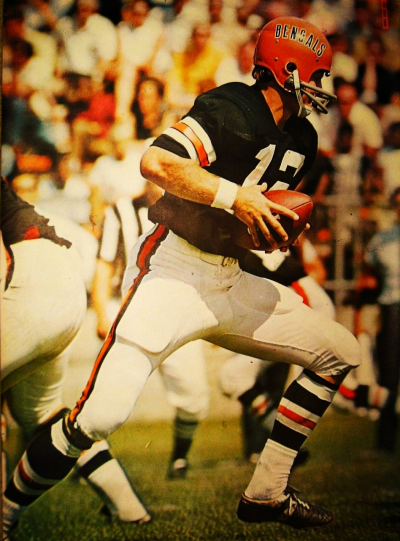 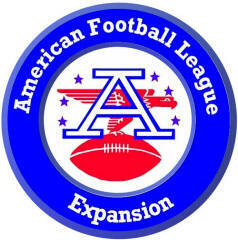 The Cincinnati Bengals were an American Football League team only for the last two years of the league's existence, 1968 and 1969. 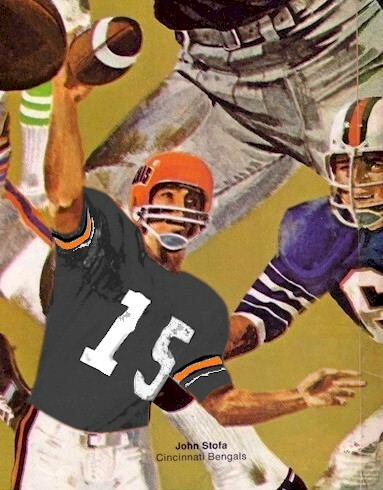 The first player selected in the expansion draft was a quarterback, the University of Buffalo's John Stofa, from the Miami Dolphins. 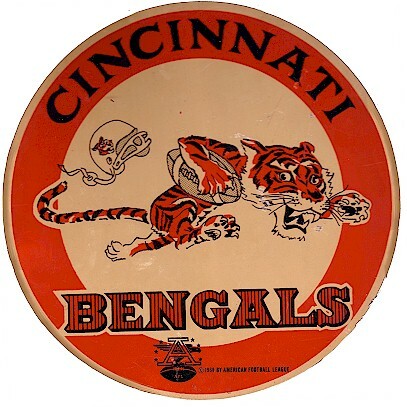 The Bengals restored professional football to the Queen City after an absence of thirty years. 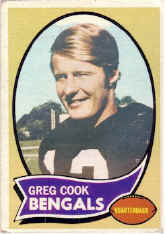 In the two years they were in the AFL, they accomplished the remarkable feat of having Rookies of the Year in both years: Paul Robinson in 1968 and Greg Cook in 1969. 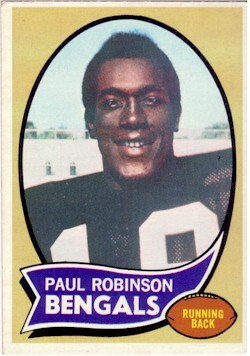 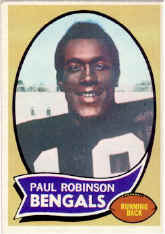 Paul Robinson played only one year at the University of Arizona, but in his first year as a professional, he gained 1,023 yards rushing and scored eight touchdowns. 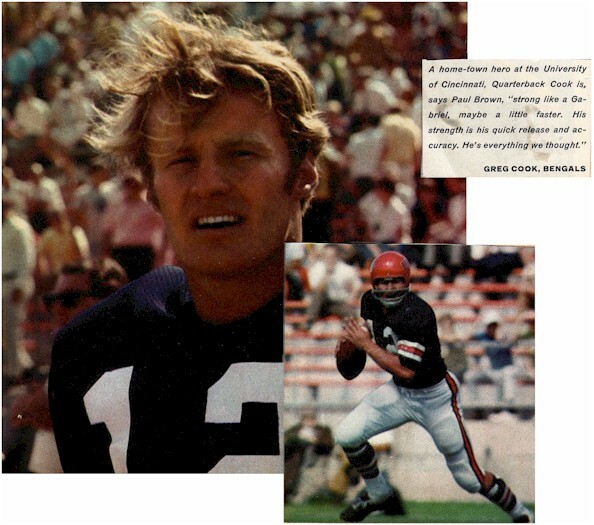 He was named All-AFL and led the Western AFL All-Star team to victory over the Eastern All-Stars.